Flossing only takes as long as brushing your teeth—around two minutes—but millions of Americans are skipping this important oral hygiene practice that could help benefit not just their smile, but their body as well! From claiming there’s just not enough time or plain dislike, there are many excuses people make for not flossing their teeth regularly. In fact, 20% of Americans never floss their teeth. What if your dentist in Asheville told you that flossing could protect your teeth, stop bad breath, save you money, and even help prevent heart disease? 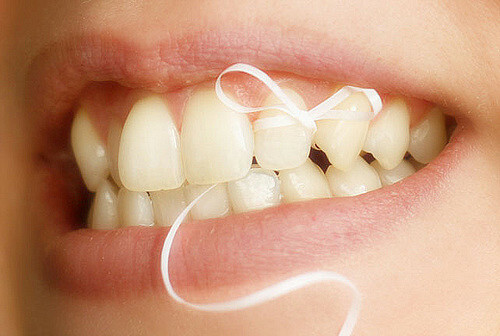 These five facts about flossing will make you think twice about that two-minute activity that could help you have a healthier smile! Do you experience bad breath even after brushing in the morning? This could be the result of plaque that’s accumulated between your teeth that hasn’t been removed for quite some time. According to the American Dental Association, there are more than 500 different species of bacteria found in plaque. Granted, not all of these bacteria are bad, but that number certainly makes you think about the importance of flossing to help get rid of the plaque brushing alone cannot. In addition to removing plaque, daily flossing also helps to remove food particles that get trapped in those tight spaces between your teeth. Imagine if you leave food sitting out—now imagine that food is stuck in a tiny space and constantly bathed in saliva. It’s no surprise that trapped food and bacteria lead to bad breath! Since unremoved bacteria can turn into plaque and plaque can turn into tartar, the space between your teeth is susceptible to breeding bacteria that can lead to oral disease (including gum disease), cavities, infections, and even tooth loss. All of these will require treatment at your Asheville dental practice—whether you need a cavity filled or a dental implant. You can save money and save your teeth simply by flossing. Flossing completes the practice of daily brushing to create a clean mouth and minimizing the need for treatment or dental work at your next visit with your dentist in Asheville. A healthy smile during your checkup means a simple cleaning and you’re done! Floss is relatively cheap—only a couple dollars (come in for a cleaning and we will give it away) and lasts for a long time. 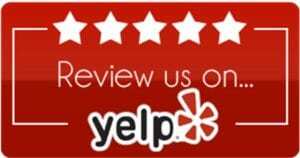 Why not spend a few dollars now and save thousands of dollars in cosmetic dentistry work later? Flossing is well worth its small investment in time and money for your teeth and gums. Periodontal (gum) disease is one of the most common consequences of skipping flossing. This is because the bacteria left under your gums between your teeth is impossible to remove through brushing, so the bacteria is left to grow and irritate the gums. This can cause inflammation of the gums, red and sore gums, and even bleeding when brushing your teeth. Another one of the symptoms of gum disease is bad breath, which can be prevented through flossing. The best news is that when you help prevent gum disease, you may also help to prevent heart disease! Gum disease increases your risk of heart disease—although research hasn’t proven which one causes the other, the bacteria and inflammation involved in gum disease could lead to an inflammation of the arteries that lead to the heart. This is because the bacteria present in gum disease have been found in plaque in the arteries. Gum disease may also be a risk factor for stroke—even more of a reason to reach for your floss! When you brush your teeth, you’re not cleaning all the surfaces of your teeth. It’s simply impossible. Your toothbrush can’t fit into the spaces in-between your teeth, which account for about 40% of your tooth’s surfaces—nearly half. Think about it: you brush the top and sides of your teeth with your toothbrush. How are the rest of the surfaces of your teeth getting cleaned? The short answer is that they’re not. This is where flossing plays an instrumental role in cleaning your mouth. Flossing before you brush can also help the fluoride in your toothpaste to better reach the spaces between your teeth, making them more protected against cavities, enamel erosion, and bad bacteria than they would be if they were still packed with plaque and food particles. Although it doesn’t really matter when you floss, you may choose to floss before you brush before bed. This removes all the trapped food particles and plaque, allowing you a cleaner mouth for the next day! Brushing twice a day is recommended by the American Dental Association. However, you only need to floss once a day! When you spend the time to brush your teeth every morning and every evening, why not take an extra two minutes to floss your teeth and ensure your smile is healthy for your next checkup with your Asheville dentist? Although waterpick flossers have not been proven to be as good as standard floss when it comes to cleaning your teeth, they can be easier for people who have braces. Flossing is simple once you have enough practice at it. At first, your gums may be sore and unused to the new cleaning procedure. This soreness should not last and soon you’ll be flossing like a pro! Use about 18 inches of floss wrapped around your fingers (pointer or middle are most common). Hold the floss tight and work a small section of clean floss between your teeth. Never be too forceful with floss—just like brushing, gentle is better! Curve the floss around the tooth and work it up and down, not back and forth. Work the floss upwards and use a clean section for the next tooth. Don’t introduce dirty floss to the next set of teeth! Flossing is an easy, cost-effective way to protect your dental health for just two minutes once a day. Floss is easy to carry with you and while it takes some adjusting to get into a flossing routine, soon you’ll be impressing your Asheville dentist with your clean and shiny smile. Get motivated to floss with these five fun facts—it’s never too late to start! Next post: Look Your Best This Holiday: 5 Tips to Protect Your Smile!